Millions of life insurance applicants have been spurned on the grounds of marijuana usage, and this habit applies to a surprising number of people nationwide. Thankfully, there have been new changes in the way underwriters categorize users which may make this a thing of the past. Why people are denied insurance? Life insurance providers see drug usage as a threat due to the fact that it is illegal and potentially dangerous to a person’s wellbeing. It can cause accelerated heart rate, circulation issues (particularly if smoked) and causes short term memory loss in many cases. 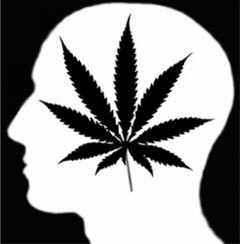 Continual use can result in mental addiction through the active ingredient within the drug (Tetrahydrocannabinol, or THC) and may lead to psychosis in some extreme cases. There are cases where THC has been used to successfully treat illnesses, but it more often causes panic, distrust, fear and anxiety where not properly regulated. Insurance companies see all these effects as reasons not to sell life insurance policies to those who regularly use the drug. It is commonplace for medical patients to assert their support for marijuana as it helps alleviate symptoms of disease and side effects of treatments, but only some states recognize its medical benefits, and most categorize it as a controlled substance under Schedule 1 of the FDA’s legislation. Whether or not insurance companies agree with the beneficial aspects of marijuana use within the medical field, policy applications are generally sweeping in their categorizations and only where it is prescribed by a medical practitioner will it be allowed, and then only in specific states. Four companies provide term life insurance without requiring you to take the paramedical exam. These companies will grant policies irrespective of a person’s drug usage and without testing urine or blood for THC. These policies are available to buy online in a few simple steps. It’s a good idea to discuss your requirements with an agent beforehand. Most agents are savvy enough to take the hint, so you needn’t be too candid in your application. Be subtle in your suggestion that you need marijuana insurance and they will be happy to direct you to an appropriate provider whose procedure doesn’t involve THC testing. If you don’t declare your marijuana use and test positive for THC, it is likely that you’ll be placed within a smoker’s category and rates will likely be as much as four times the standard non-smoker’s rate. It is likely that a marijuana user will have their details passed to the MIB, or Medical Information Bureau, who will treat your case with confidentiality as far as the law is concerned, but it will have a negative effect on your premium rates for a very long while. If you are a light/social cannabis user, and you have abstained from using the drug prior to the paramedical examination, THC levels can take anything between a week and three months to completely exit the bloodstream, dependent on body mass, the efficiency of your metabolism and other factors. Positive outcomes of the paramedical exam depend largely on variances in a person’s physical being. This makes it very hard to judge outcomes, and once declared positive for THC, You may never get your preferred premium rate again. This should be a consideration for all marijuana users who are considering applying for a standard policy which includes a paramedical. Walgreens are selling a home tester kit for less than $20.00, which includes laboratory testing costs and return postage fees, but these aren’t as stringent as the paramed and should only be used to give a vague idea as to your THC levels. If you are interested in a dedicated marijuana life insurance policy, you may submit our form in the page header or call to discuss your life insurance policy with no THC exam. Discretion is assured, as it is in the agent’s best interests to find your ideal policy at a decent rate. Although an agent won’t hide the truth for a policy application, as their license may be compromised, they will do whatever they can to help them get insured if the insurance company isn’t specifying THC testing in the underwriting process. The chart (figure 1) to the left shows how marijuana usage varies according to race. We can see that most are Caucasian, comprising nearly three quarters of the cannabis using demographic. This is in contrast with the widely-held belief that marijuana is more popular among minorities in society, as Hispanics and African Americans share less than a third of the usage between them. The chart (figure 2) to the right shows that many cannabis users are well into adulthood at over 35 years of age. This age group makes up 64% of cannabis users; contradictory to the notion that the prevalence of drug usage is higher among our youth, with under-25’s making up just 18% of the marijuana user demographic. As we can see, life insurance for marijuana users is mostly sourced by adult Caucasians who are the most prevalent users of the drug. Interestingly, senior citizens who are nearing retirement age (50+ years old) also have a high prevalence of drug use and as such, the demand for marijuana insurance is high in all walks of life and not just with minorities and small ethnic groups. The life insurance marijuana medical exam is a mandatory procedure for most insurance carriers. These tests form a large basis upon which life insurance quotes are calculated. Failure to pass the paramedical exam will likely mean that you are denied insurance for many things, possibly even auto insurance or home insurance. If the insurance carrier you choose is an affiliate of the MIB, then the likelihood of this is even higher. Those who use cannabis occasionally can purchase a guaranteed policy. These don’t involve a paramedical examination and the underwriting process is much more straightforward. The premium rates for guaranteed life insurance are undoubtedly higher, but this is offset by the fact that applicants will almost certainly qualify for a policy. One such carrier that specializes in guaranteed policies is ING, who are one of the world’s best known and trusted providers. It is essential that applicants divulge all required information as truthfully as possible when buying a policy and this particularly applies to marijuana usage. Many don’t wish to report recreational marijuana use as they don’t want the authorities to know about this lifestyle choice. Insurance paramedical examinations are accurate and efficient. The examining body will be able to determine trace THC with ease, so as always honesty is the best policy when applying for a policy. As with any other medical scenario, the Hippocratic Oath applies with medical underwriting. The authorities will not be notified of your lifestyle choices and confidentiality is observed. Any information given is solely for the purpose of evaluation on your application. Are Cannabis Users Always Given Tobacco Status? Due to the nature in which it is commonly smoked with tobacco and the lack of evidence to suggest on the contrary, Marijuana and tobacco use are usually linked by insurance providers. Conversely, marijuana has never been proven to have the same negative effects on the body as alcohol or tobacco products. Marijuana is not on the list of proven carcinogenic substances, does not have negative effects on internal organs and has had a history of positive effects for those suffering from the side effects of cancer and retroviral drugs. If you are going to take the paramedical exam, you will be tested for the by-product of nicotine known as cotinine. This is the active drug which exists in the body’s metabolic system. This stays in the bloodstream for at least two days and will have left your system within five days. You can also buy tester kits for cotinine detection but these are only accurate for 200ng per ml or higher. After abstaining from nicotine for three days most levels are lower than this, but in order to counter the sophisticated paramedical equipment, it is recommended that a regular smoker should abstain for three weeks. Remember that withdrawal substitutes (nicotine patches, nicotine gum, etc) also contain high levels of cotinine, and as such it is advisable to avoid these also. There are many alternative methods on the market that do not contain nicotine. Ask your doctor for advice. Of course, if you can quit for three weeks, you may as well quit forever. Your physical addiction will have been quashed by this point. Your insurance premiums will drop as a result and you and your bank balance will look a lot healthier! ING offer term life insurance to marijuana users. If you like the occasional blunt, but are in good health, you can get coverage for anything from five to thirty-five years. Provided your agent is knowledgeable and savvy, there are many options available to the discerning cannabis user seeking life insurance, such as guaranteed policies. Once you have sourced your ideal quote, all you need to is complete the online form and your application will be sent for processing. You must also decide on a plan which suits your requirements and the amount of coverage that you wish to apply for. There will follow a thorough assessment and they will give you an expected completion date for your policy application, which is usually no more than a couple of weeks. Warning: It is harmful to your health and wellbeing to use marijuana in excess. Use any recreational drug, whether legal or not, in moderation. Let your doctor know if you do use marijuana regularly and they will advise you as to the best way to pursue your habit, i.e. use a vaporizer as opposed to smoking apparatus, which will be less harmful to your respiratory system, etc. Always adhere to the advice of your physician.